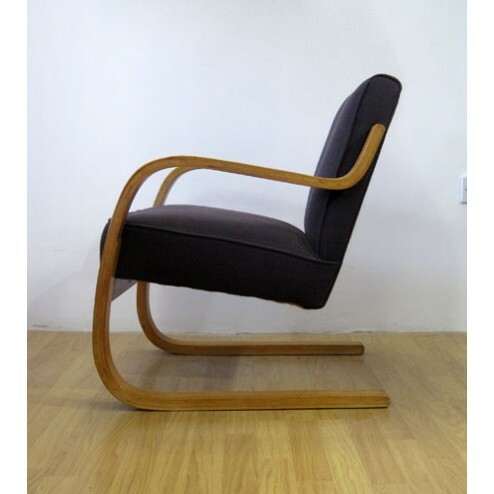 Early version Model 402 Canterlever chair by Modernist Architect /Designer Alvar Aalto. 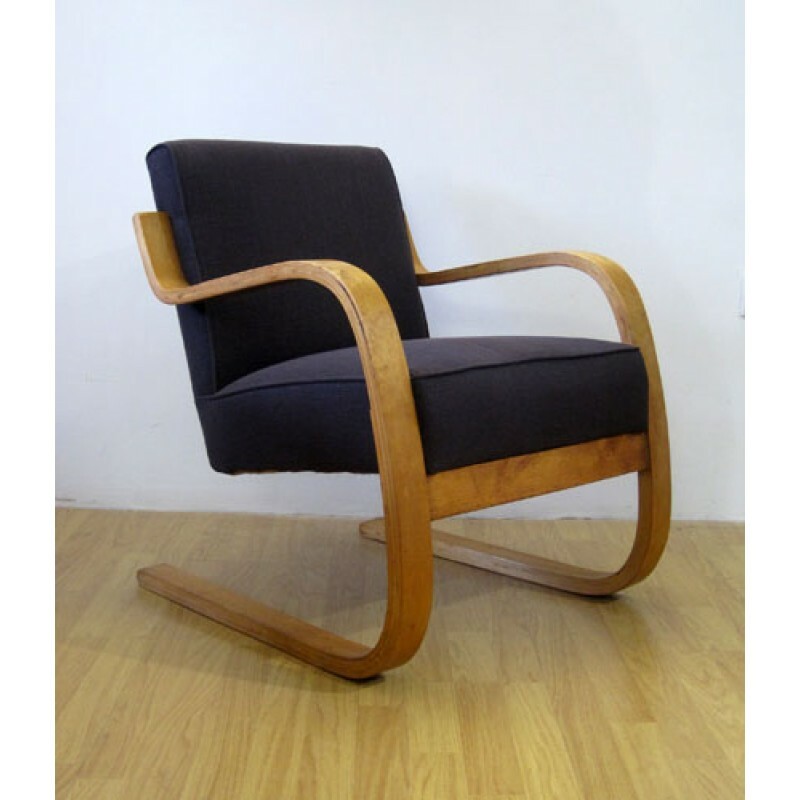 Manufactured for Finmar c1938. Bent birch laminate frame, retaining a wonderful honeyed patina, original sprung seat & back newly reupholstered in a blackberry weave. 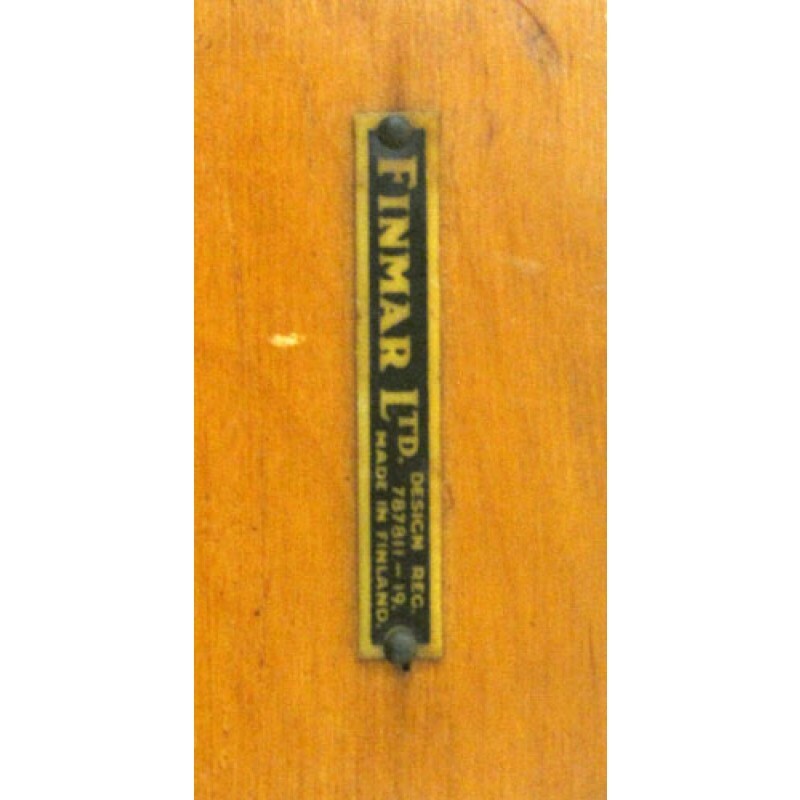 Finmar badge intact to underframe.